Six month Club that meets typically on the First Saturday of each month (some adjustments for holidays) - New students are welcome to join at any time. Click the photo for more details and to register! Jump in on the next session of the HQ Ruler of the Month Club and be introduced to new ruler styles and techniques right here at your local shop and learn how to use them along with other quilters! This 6-month Club Series includes videos, demos, tips and education for each ruler. Get Club Member exclusive rulers at special savings ~ Plus a Free Gift for members, and other fun club member perks along the way :) Click on the photo for more information and to register! 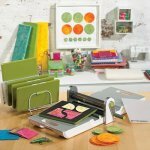 The HQ Pro Stitcher Club is geared to Learn & Share Ideas and Information on the Handi Quilter Pro-Stitcher Computerized Quilting System. Meets on the 2nd Sunday each month from 3:00 - 4:00 or the following Monday 1:00 -2:00 Click on the photo for details and to Register! Want to really know and love your longarm? Join the SWD Longarm Club! Beginning in January 2019 LA Club meets on the 1st Sunday most months from 1:30 - 3:00 or the following Monday from 11:30 - 1:00. Great for both Longarm Owners & Renters or those wanting to learn about Longarms! Click on the photo for details and to register! Join us monthly for tips and tricks for working with reproduction fabrics, and to work on your ongoing projects. Join for all 12 sessions for one low cost, or call the shop to register for just one individual session. Click on the photo to register! Join us monthly for tips and tricks for working with wool, and to work on your ongoing projects. Join for all 5 sessions for one low cost, or call the shop to register for just one individual session. Click on the photo to register!